Chaffey Bros have sourced the grapes for this Riesling from three different vineyards in the Eden valley and created a well balanced wine that definitely stands out from the pack. Tessellation is the name given to a combination of shapes that are able to cover a surface perfectly, without any gaps. True to its name, all of the elements of this wine fit together very well. Great aromatics featuring lychee, lemon, lime, and floral notes, with maybe a hint of kerosene developing. Perfect acid sugar balance, with 7 grams/litre residual sugar. A very refreshing and easy to drink Riesling. This was absolutely perfect with an array of different Thai dishes. Highly recommend getting your hands on some of this the next time you are having Thai food, or pretty much any time you feel like a Riesling. Leeuwin Estates are winemakers situated in the Margaret River. They are very well known for their excellent 'Art Series' Chardonnays and also produce a few other varietals, such as this Riesling. This was a quite dry Riesling, offering green apple and lime on the nose and then some minerality and citrus fruit on the palette. I found it a bit acidic for a Riesling this dry. This Riesling was quite good with oysters. I'd like to see this wine again in several years time when it has had time to mellow out and develop some more complex characteristics. Pinot Grigio and Pinot Gris are wines made from the same grape, which evolved from the Pinot Noir grape or a common ancestor. The difference is largely in the style of wine produced with the french Pinot Gris often being sweeter with more stonel fruit notes and the Italian Pinot Grigio generally being drier with more citrus like characteristics. This Australian version, while Grigio in name, seems to walk the line between these two styles. A mildly fruity nose, with a hint of apricot and pear, is followed by a nice dry pallete and crisp citrus acidity. A touch of spice and maybe a hint of salinity. A nice wine, sure to provide summer refreshment. Drank well with barbecued prawns. A varietal from the Rhone Valley in France, Marsanne was first planted at the Tabilk winery in Victoria in the 1860s. They now have some of the oldest plantings in the world and are one of the largest producers of this varietal. This wine is an absolute bargain, and is often released after several years of cellaring for very little more than the latest vintage. The 2009 is starting to show some developed, honey suckle like characters on the nose, alongside citrus fruit and a hint of kerosene. Still has a very lively citrus palate with bright acidity. I suspect this wine still has many good years ahead of it, so I'll be holding on to a few bottles. Remarkable wine at this price. 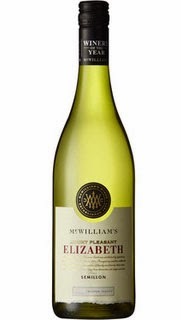 Coming from the Willyabrup Valley in the Margaret River, this Chardonnay was dry grown, resulting in lower yields of grapes with greater fruit flavor and intensity. Only the free run portion of the juice was used and fermentation took place in both old and new french oak barriques. A fine and refrained nose, the oak balances nicely with grapefruit, pear and flinty aromas. Has a lively freshness and crisp acidity, likely resulting from minimal malolactic fermentation. An elegant chardonnay worthy of consideration. Being a somewhat restrained Chardonnay I wouldn't recommend eating this with strongly flavored foods. Paired well with roast chicken and I can imagine it doing well with scallops in a thyme butter sauce. Tahbilk's Marsanne is a serious contender for the best value white wine in Australia. A consistently beautiful wine, with great precision, balance, and incredible aging potential. You will often find newer releases, such as this, at large retailers for well under $15. Lots of citrus aromas, featuring lemon and grapefruit. A very lively, minerally palate brings more citrus along with some flavos of stone fruit and apple. Lots of bright acidity to the finish. This is a great wine to stock up on for cellaring, if you have a large enough cellar. If not, don't worry to much as you can often find releases of earlier vintages for around $20. I like to grab a couple from each year for my wine fridge regardless. Awesome value. A great summer go-to wine. Nick Glaetzer was Gourmet Traveller's 2011 Winemaker of the year and also took home the Jimmy Watson award for his 2010 Mon Pere Shiraz. The name überblanc comes from a 2001 harvest Nick experienced in Germany with Stepan Mueller at Weingut Eugen Mueller. Grapes for this Riesling were sourced from both the Tamar and Coal Valley regions of Tasmania. It Displays a lovely subtle nose with kaffir lime and a bit of green apple. A well structured Riesling with great minerality, length, and intensity. Drinking very well now, but will no doubt improve over time in the cellar. Another collaboration wine from Vinomofo, this one was made by Brendon Keys from BK Wines in Adelaide Hills. 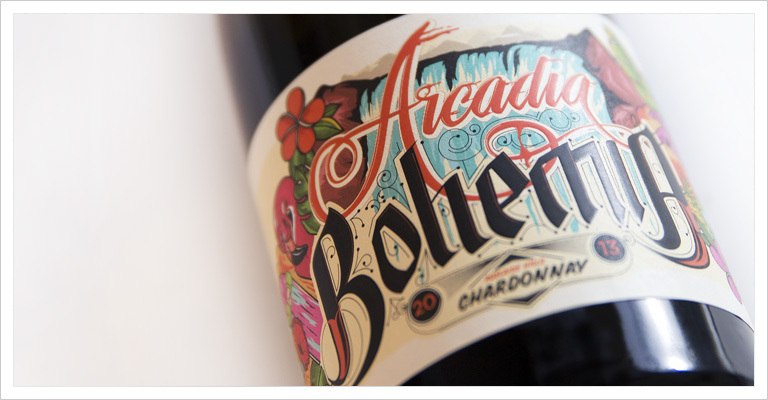 BK wines are producing a lot of really interesting wines, and this barrel fermented Chardonnay offers good value. It balances the line of ripeness quite well, offering both some tropical fruit elements alongside some citrus fruit. Nice buttery and soft with decent length on the palate. A good quality chardonnay at a very fair price point. I would buy this again. Paired well with barbecued chicken. Mayfield is located in the Orange region of New South Wales and produces a selection of wines suited to this cooler climate. One of the wonderful things about chardonnay is that it offers a lot variation within the context of one type of grape. Hence, offering an opportunity for wine makers to express themselves and represent the fruit in distinct ways. This was a rather delicate chardonnay with some melon and vanilla on the nose. Very moderate use of oak has left it quite fresh, displaying the fruit well. Limited malolactic fermentation has resulted in good acid balance without the buttery notes present in many other chardonnays. Rather on the lean side for my taste in chardonnay. Nonetheless, a crisp, clean, elegant chardonnay and it was just fine with goat cheese spread across baguette, on a sunny afternoon.